Tis’ the season . . .
To whip up a batch of eggnog just like grandma used to make – with loads of high fructose corn syrup, artificial flavors, stabilizers and carrageenan. What, NO? You say that is not how your grandma made it, and that she didn’t make hot chocolate from a pouch, either? Well then, I suppose we will just have to put our noggins together and figure out how to get along without those things. So what delivers a rich, creamy texture without the aid of a chemistry set? Oh yes, CREAM! Simple, wholesome, and rich in healthy fats, vitamin K, and other nutrients, this is the real deal. Add in some egg yolks and optional gelatin hydrolysate, and eggnog becomes quite the nutritional powerhouse. I love to use it as creamer in my tea or coffee. They’re rich in enzymes, protein, essential fatty acids, niacin, riboflavin, biotin, choline, vitamins A, D and E, magnesium, potassium, phosphorous, manganese, iron, iodine, copper, zin, amino acids that help build cartilage, and keratin for beautiful skin, hair and nails, but are they safe to consume? What about salmonella? “So far, not one case of food-borne pathogens has been reported among the thousands of pastured poultry producers, many of whom have voluntarily had their birds analyzed. Routinely, these home-dressed birds, which have not been treated with chlorine to disinfect them, show numbers far below industry comparisons. At Polyface, we even tested our manure and found that it contained no salmonella. Oh, there’s this, too: For the last fifty years, a group of microbiologists from Rockefeller’s Laboratory of Bacterial Pathogenesis and Immunology have been making a batch of egg nog (with raw egg yolks) just before Thanksgiving, then drinking it at their annual Christmas party. (source) Apparently the alcohol in the nog keeps things safe – they actually added salmonella to one batch and watched the bacteria die over time. That batch was used for experimental purposes rather than the holiday party, but the story brings me to my next point . . .
Planning To Make a Grown Up Version? Read This! Rum is traditionally made from sugarcane, but unfortunately some companies have started cutting corners and using GMO-derived high fructose corn syrup instead. After emailing back and forth with Appleton Estate, a Jamaican-made rum I picked up to make bay rum aftershave with, I was able to verify that they do not use any corn syrup or GMO bacteria during the fermentation process. They have a sugarcane plantation next to their distillery that you can tour if you get the chance, and their rum is actually pretty delicious. We love it in this hot buttered rum recipe, too, only we use half the rum and twice the butter. When it comes to bourbon, Wild Turkey and Four Roses were GMO-free the last time I checked. (source) I’ve emailed them both for an update but haven’t heard back yet – stay tuned! Add milk, cream, egg yolks, maple syrup or honey, vanilla extract, salt and gelatin hydrolysate (if you're using it) to a blender. Give it a whir for a minute or so, then pour into a container and chill in the fridge or serve immediately. Make sure to sprinkle with nutmeg before drinking. Bottoms up! * Can't find raw cream? Good news! According to the Weston A. Price Foundation, "Pasteurization is much more damaging to the proteins than the fats. The only thing ruined in the fats will be the Wulzen Factor, which protects against arthritis. If only pasteurized cream is available, you can get the Wulzen Factor by taking high-vitamin butter oil." Sounds delicious! Can’t wait to try it. Out of curiosity, why did you make the switch to the Vital Proteins gelatin hydrolysate? I haven’t heard of that brand before and am wondering why you decided to switch. I use Great Lakes. Thanks! I agree! Heather please, please write a post covering this.. I beyond interested!! 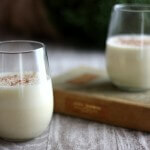 Love homemade eggnog and I follow Mommypotamus regularly. I was just about to ask the same question as Carli. I use Great Lakes as well but I am very much interested in why you like this one more. Thank you in advance. Vital is made from non gmo snapper and great lakes from cows. I’ve heard from some that snapper collagen is better… but I haven’t done enough research to form my own opinion. I drank w/all three of my pregnancies… some wine or beer w/dinner, or an occasional mixed drink… all my kids have IQs over 130… so I don’t see any brain damage.. they are healthy, productive working adults… they are now 51, 50 and 47… so I don’t see the big brouhaha and fuss they make now about women drinking alcohol while pg. maybe it is because the ingredients in the alcohol have changed… like high fructose corn syrup…. and corn being a GMO product. I was told by one of my midwives, that the “absolutely no drinking in pregnancy” thing really comes from the fact that NO ONE has ever studied the effects of moderate, responsible drinking on pregnant women, and their babies in utero (I hate the term “fetus”). The studies that have been done with drinking are ALL on over-consumption, and levels that would qualify as intoxicated. They kind of just recommend to avoid all alcohol “just in case”, but of course if you’re a responsible adult who knows their body well, and certainly doesn’t make a habit of over-consuming alcohol at all, the odd drink in your pregnancy can actually have benefits. 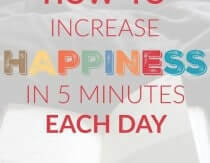 I had a midwife suggest to me that I should drink a bit of wine each day, because the stress of some situations was more damaging to my body than the alcohol would be–and it would help relax me. Also, I’m pretty sure I once in a while took a bit of beer with some of my others, but I definitely made a point to never consume ANY alcohol when around others, or certainly in public–for the impression, you know….. I noticed you and Wellness Mama recently switched gelatin hydrolysates. I began taking the Great Lakes collagen based on the information provided by both of you. Can you inform us why this one is better? Thanks! How long would this keep in the fridge in an airtight bottle? And I’m also curious to know why the gelatin switch. I’m with everyone else: Why the switch from Great Lakes? I’ve never heard of putting gelatin in egg nog and we use 12 egg yolks not just 6-8! 🙂 Great way to get in some more gelatin though. I wanted to add that if you have to use pasteurized milk or cream at the very least make sure it’s not homogenized or have other additives. I feel bad for the people who live in states where their milk supply is very limited. Just curious as to your opposition to homogenization? Looks like a great recipe! I’m excited to make it for my family. I, myself cannot have dairy. Has anyone tried this with some other type of milk? I was thinking full fat coconut milk maybe? 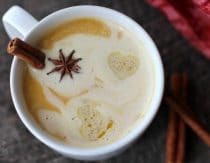 Mark Sisson’s of Primal Blueprint fame has an eggnog recipe on his site that uses coconut milk (canned or fresh, not carton). His is a low-heat “cooked” variety, but shows that it can be done. Other nut milks can be used at least for the milk part, but you’ll need the extra fat of coconut or dairy cream to get the creaminess, most likely (though you may be able to achieve it with more egg yolks). I just made this, still using cream, but subbed the milk for BPA-free (full-fat) canned coconut milk. I sweetened with Grade-B maple syrup, used the gelatin, chilled, and generously topped with nutmeg, and it.was.delicious!! 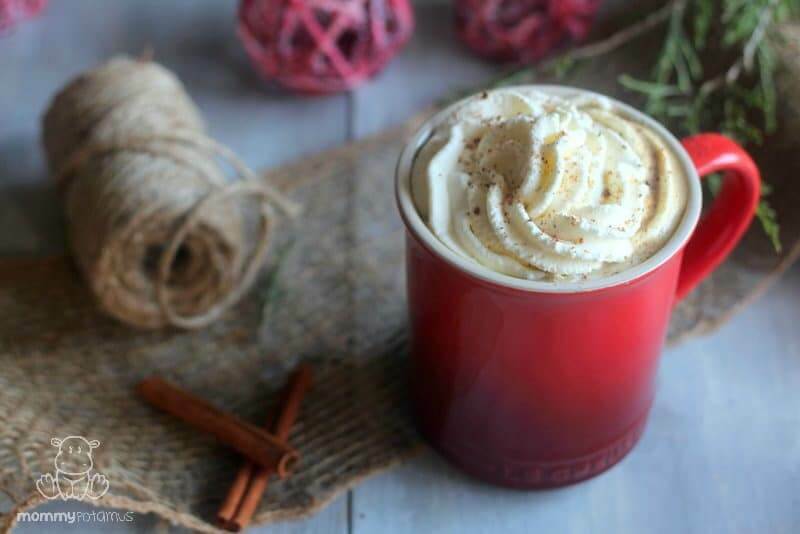 So so happy to make one of my favorite holiday drinks, without making me feel crappy. Yum yum, thank you! Just made this. So easy and so delicious! My kids LOVE it! Thanks! Excellent eggnog…in years past I’ve actually ordered some from an Amish farmer and shipped it as a holiday treat. I just made it this Christmas morning. I won’t be spending the extra $$ anymore to ship it. Thank you for a truly rich and delicious treat! Merry Christmas! So happy you liked it, Karin! Yeah…you can literally just put cream, sweetener, spices & eggs in a blender. Easiest drink ever. You don’t even need all these steps. How long will the eggnog last in the fridge? Do you know how long egg whites will last in the fridge? I have a bunch of them now and would like to use them. Just want to know how long I safely have. Hi, I’m wondering if the milk could be substituted with coconut milk and the cream with coconut cream instead. Has anyone tried this? Danika, I’ve made it with coconut milk instead of the raw milk, but I still used the cream. It was delicious!! I’d imagine you could also use coconut cream in place of the cream though. Could we use powdered eggs instead of fresh? Make it safer? @ ali: You honestly believe that POWDERED eggs are safer??? OMG! 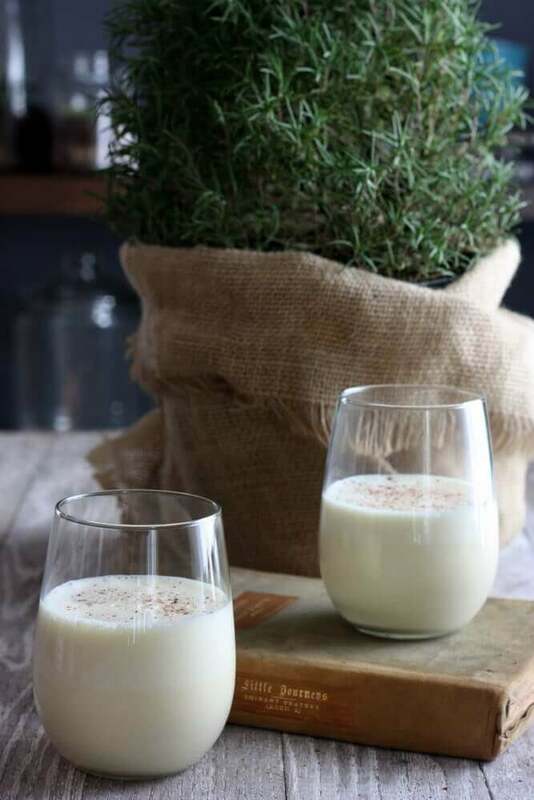 Eggnog isn’t just a holiday drink for our family. We like it anytime. I actually like to mix a little with coffee sometimes. I know, it’s kinda weird. Here are four recipes. I decided to post this because there is a cooked version, for those of you who are afraid of raw eggs or don’t have access to farm pastured eggs, and there is also a party version which makes a fairly good sized batch. So you can just take your pick. 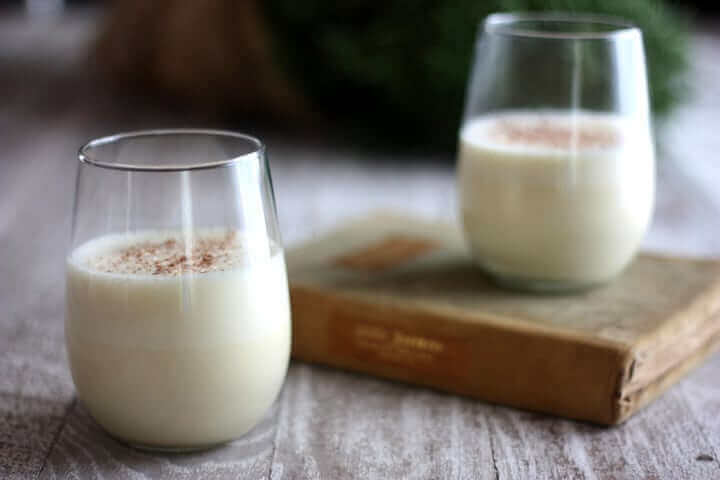 The second recipe (Easy Eggnog) is almost exactly like the one I use most of the time for family. If I’m entertaining, I use a very similar version of the first recipe. I have been reading online recipes for eggnog all morning and my sides ache from laughing. One guy honestly tells people to only use pasteurized eggs, never use farm fresh eggs! He must work for the egg board. Can you believe how people get so twisted around? That’s good old propaganda marketing for you. Then, this other guy was telling how to make homemade eggnog but started the recipe using commercially purchased eggnog and adding some things to it (like spices, etc.). Holy cow. Guess he doesn’t really understand the term *HOMEMADE*, huh?!! Hey D.Smith, I’m curious as to why you imply that powdered eggs are not safer than raw eggs. Could we please have a link to scientifically proven facts, rather than just your ranting of personal opinion? Yeah – facts – what a concept. FYI, the FDA does state that dried (powdered) eggs are safer than raw eggs. I’m sure you despise the FDA, but thought I’d put it out there for the original poster who you berated simply for asking a question and being cautious with their and/or their family’s health. As for me, my grandmother told me to just add some alcohol to make sure nog was safe. Raw eggs are really good for your skin. Egg whites make a great face mask alone or I mix with mashed banana, raw apple cider vinegar or plain yogurt. Freeze them for later use. angelfood cake or seven minute frosting etc. Beautiful drink. Tastes great with Malibu!! ? But I can’t find it anywhere can you help me? Heather, would you drink this if you were pregnant? Hi, can you please tell me how long this will keep in the fridge? Heather, your eggnog is the best!! We drink it every year at Christmas since your first post! I currently don’t have any gelatin, will it greatly affect the recipe if I omit?